From My Front Porch: I blame my Dad . . . I blame my Dad . . .
. . .for my sweet tooth - for my love of ice cream, pies, cake, peanut M&M's, brownies, black & brown cows on Sunday afternoons. . . .for my pride in John Deere tractors - there is nothing like being a farm kid whose Dad owns a John Deere store. . . .for my respect for agriculture, the land and work ethic (well he might of thought mine could be stronger, but I seriously couldn't of had a better example of doing what you needed to do because that is how you lead your life). . . .for my lack of patience - because I think he got my share also - I will never know a more patient man in my life (my husband is a close second) - and believe me I tested his and Mom's patience as a teenager, every last freaking ounce- I truly don't recall my Dad ever losing his temper (well maybe once when I took off out of the driveway in my '72 Mustang and threw gravel but I probably deserved to be beaten with a big stick a few other times!). . . .for my sarcasm and love of corny jokes. . . .for my love of cattle, I can remember getting to go feed with Dad, hauling cattle to the stockyards at night and a few walks thru the pasture. . . .for my love of morning - I'm not always as cheery as him but I can't hardly sleep in - my Dad has always thought the world started turning at 4:30am EVERYDAY - no matter where he was, even in Colorado visiting my sister he would stay on Indiana time and rise and shine that much earlier. . . .for my desire to see all 50 states - to this day I have seen 46 mostly thanks to him and Mom - he has seen 49 - missing only New Jersey and he says he really has no desire to see that state anyway! 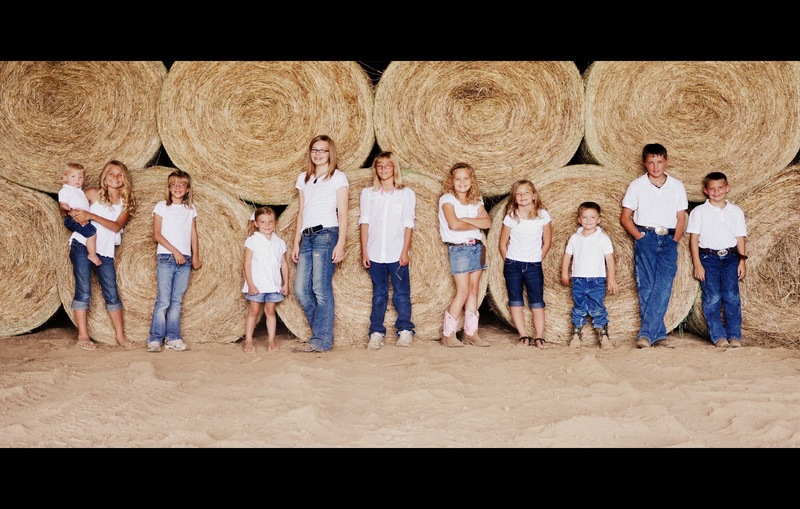 to come to school programs, softball & basketball games, 4-H livestock shows, high school graduation. to be there for family dinners for no good reason on a Sunday afternoon. to talk over which colleges they would like to attend. to hide Easter eggs - because nobody hides an Easter egg like my Dad (Mom would always find at least one 6 mo. later-he was that good!). to teach them to make the world's best homemade ice cream and eat it with them. just to watch them grow up - they deserve to know him! Thinking and praying for you and your family! A huge hug sent your way!!!!! I love the photo of all the cousins! I'm so sorry for your loss. OH Jen.... I'm so sorry for your loss. I wish we could be there for you in person right now, but please know our hearts and prayers and tears are with you. All my love and support to you and your family! Stupid cancer :( I look forward to you blogging the heck out of any and all of the happy, sad, corny, giggly, or serious stories you remember about him once you've had a chance to get back up from being knocked off your feet - that way all of us will have chance to know him even a little. (((hugs))) to you and your family. F@#k Cancer!! My heart hurts for you & your family's loss. <3 & HUGS!! What a great man. We all loved him. And I love you Jen. Big hugs. I am soo sorry. What a sweet testament to your dad. We are thinking of you guys and praying for you. I was two when my grandfather pass from cancer. My parents have always told that life would have been different if Grandpa would have lived longer. I cannot remember him but I still live by the some of the last words he spoke. "When times get tough hold on to them cows tails and they will pull you through." Early in the morning when the sun first meets the day I feel him smiling proudly. When a life is lived to it's fullest it finds away to live on. He has taught you all a great bunch. He was a great man. Our condolences go out to you, the family, friends, neighbors. Your in our thoughts, prayers and sharing tears. Cancer is never a good thing. I pray that one day we are truly closer to a cure. He may be gone, but he will never be forgotten. He will also always be looking down over y'all. Laying his hand upon your shoulder when you least expect it, he will be there, beside you. God Bless you, your father and the family. Sorry to hear of your loss. Keeping you and your family in prayer. This is a very touching and loving post. I am sure your Dad would chuckle and be proud. So sorry for your loss. Thoughts prayers and care bear stares to you and your family. Remember he lives on in you and your kids - sounds like he was an awesome man! Jent I am so sorry. Yes we need our Dads no body can replace them I use to wear one of his shirts around for a long time just something made me feel better. It was almost like reading what I would write about my dad. Thinking of you and your family. So sorry for your loss. My heartfelt thoughts and prayers go out to you and your family as you begin to celebrate his life. Prayers to you and your family.... so sorry for your loss. I was in total shock and disbelief when I heard about your Dad on Saturday night. My second thought was oh no, he has 11 beautiful grandchildren that call him "Grandad" and 7 of them sit with him at church - it just makes my heart hurt to think of him missing from their pew and from their lives. I hope you know how much I respect and admire your Dad and your Mom. I hope that God wraps his loving arms around all of you. It may be cliche but I wish you peace. When peace arrives, you will be able hold all the memories more dearly! Hugs and love to all of you. im sorry for your pain. i know the anger towards cancer too. i lost my best friend and mom in 2003. it was a short, hard battle but she showed such bravery. i know that is why i take so many photos. so there will be a memory of all the great things life can be.